The Government has distanced itself from possibly financially assisting Rás Tailteann so it could continue this year. Yesterday in the Irish Independent the Minister for State for Sport and Tourism Brendan Griffin TD said he had just become aware of the race’s plight. And he said inquiries were being made to see if anything could be done. Mr Griffin added he wanted to see the race continue. The Irish Independent also reported that funding of €40,000 had been made available by Sport Ireland to Rás Tailteann to help it continue. However, stickybottle has confirmed that that €40,000 is made available every year to the race. It is not an injection of money into the race to help rescue it. And neither the allocation of money nor the sum involved this year is out of the ordinary. It is entirely in keeping with previous years. In a statement, the Department of Transport, Tourism and Sport agreed with its junior Minister Brendan Griffin that the Rás had a rich history that should continue. Griffin stopped short yesterday of suggesting money was being readied to help the race. But he did say inquiries about offering unspecified assistance were underway. However, a statement from the Department was clearer; stating the viability of the race must be secured by other means. “The Rás is an important event with a long and storied history,” the statement said. “It is an independent event. “Sport Ireland provides a grant to Cycling Ireland who in turn support the event financially and otherwise. “It relies heavily on its main sponsor. It was known for some time that it would not have a sponsor for 2019. Efforts to secure a sponsor were unsuccessful. Rás Tailteann, a UCI 2.2 ranked race, takes place every May over eight stages around Ireland. The race has been run every year since the 1950s. 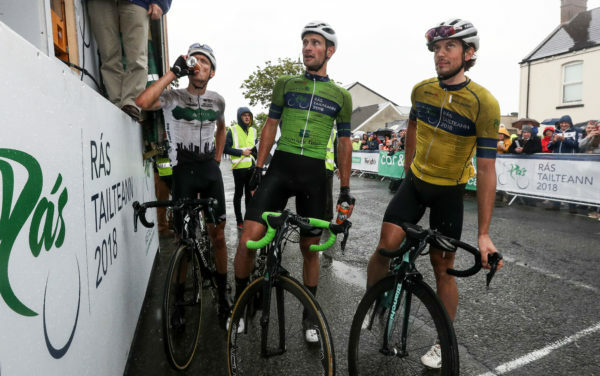 It is Ireland’s only road race with UCI ranking and attracts domestic riders as well as international Continental trade teams and some national selections. It was sponsored for years by FBD Insurance until An Post, Ireland’s national postal service, took over the title sponsorship a decade ago. However, An Post ended all of its cycling sponsorship two years ago and Rás 2017 was the last one it sponsored. The race only went ahead last year because the race organisers had managed to build a cash reserve over recent years. But with all of the reserve fund spent last year, and around €300,000 needed to run the race, the event is dependent on a new title sponsor coming on board. A number of commercial entities have been approached and talks are continuing with one, with no news as of yet about whether that company will back the race. The organisers, understandably, have refrained from making any statement on the race going ahead or not proceeding this year. Instead, for now it is continuing talks with the potential sponsor.